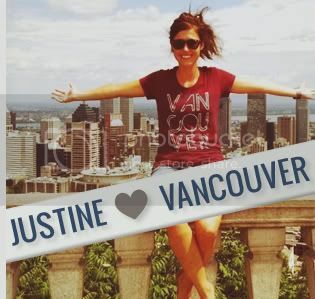 Only San Jose Shark Fin Soup For Vancouver! We received quite a unique photo this week. 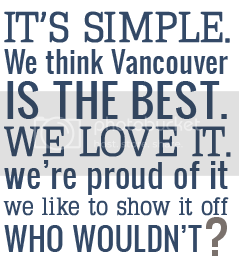 Vancouverites Andrew and Jenny came across our project through Jamie Delaine, our amazing photographer friend and supporter who took all the pictures from our first ever photo shoot. Andrew and Jenny have entered the Happy Hearts Love Sharks wedding contest that rewards wedding couples who pledge to protect sharks by not serving shark fin at their wedding banquet. 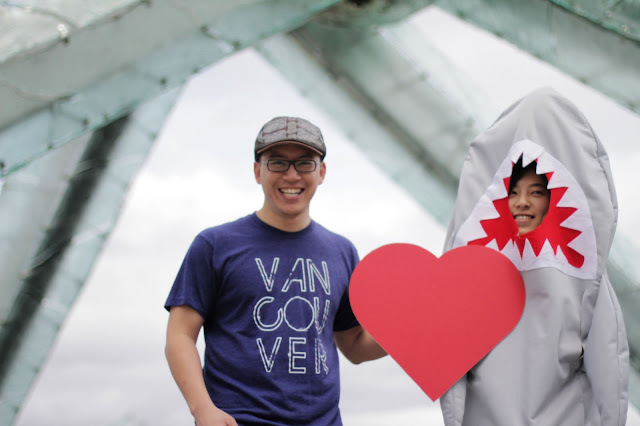 Couples have to submit photos and Andrew and Jenny decided to make their own shark costume, heart prop, and wear our Vancouver shirt to represent our city. We think it's pretty awesome. We also support their pledge... the only shark fin soup we want comes straight from San Jose. If you want to help Andrew and Jenny, vote for them! It's easy. 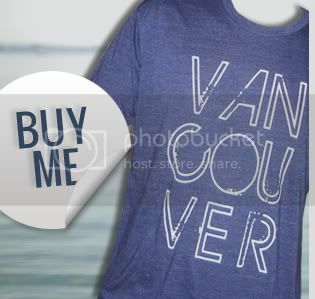 Do you have a picture of yourself wearing our shirt? Email it to us so we can post it here!